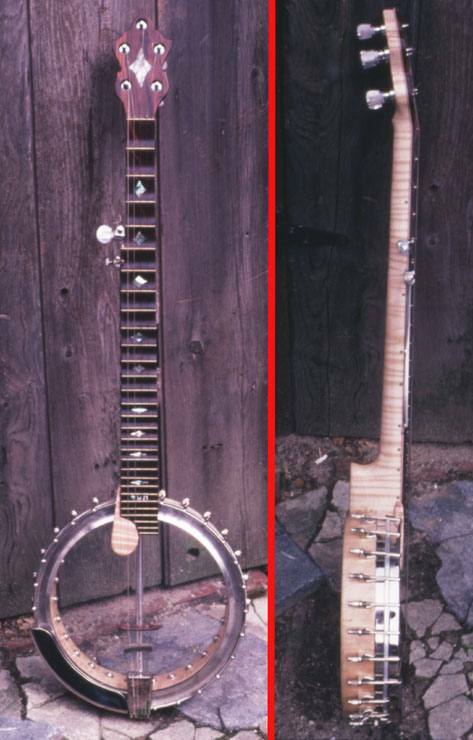 6-string, scallop-fretted banjo commissioned by Michael McLain for his brother Raymond, of the legendary McLain Family Band. Rosewood peghead-top, fretboard and bridge, curly maple hoop and neck with internal truss rod, abalone inlay. Archtop tone ring, clear mylar head. Note also the maple thumbrest for frailing.